Stranded annealed, single-conductor copper wire within general purpose thermoplastic (GPT) insulation is standard for original equipment and replacement on vehicular equipment. Its smooth surface makes it ideal for pulling through loom or JT&T Flex-Guard Convoluted Tubing. The thermoplastic insulation operates suitably between extreme temperature. Temperature rating for black, orange, red, green, blue, yellow, brown & white wire is 80ºC (176ºF). Temperature rating for pink & purple wire is 105ºC (221ºF). Rated at 60 Volts. 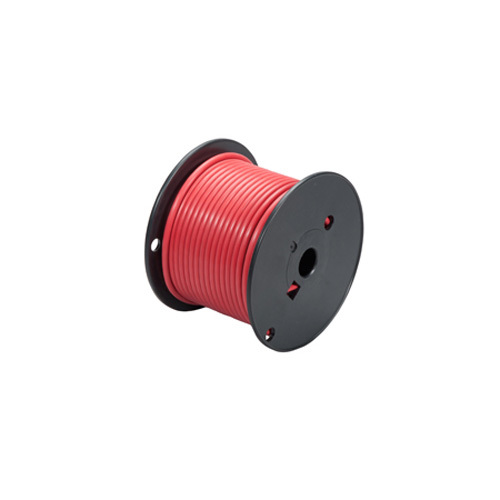 Wire is RoHS compliant and meets or exceeds S.A.E. J1128 specifications. JT&T Primary Wire is resistant to grease, oil, acids and available in ten bright colors for easy identification.